Did the humans get our message? Yeah... but they named it dubstep and they're dancing to it! 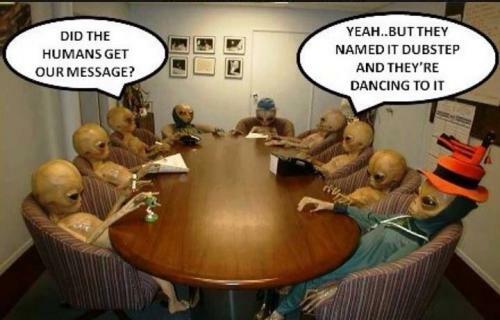 Yeah... but they named it dubstep and they're dancing to it!